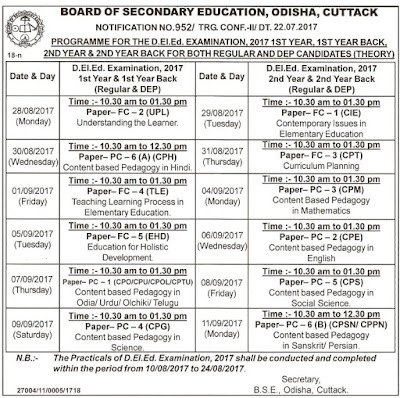 BSE D.El.Ed Exam 2017 Schedule for 1st Year, 1st Year Back, 2nd Year and 2nd Year Back Examination Schedule. 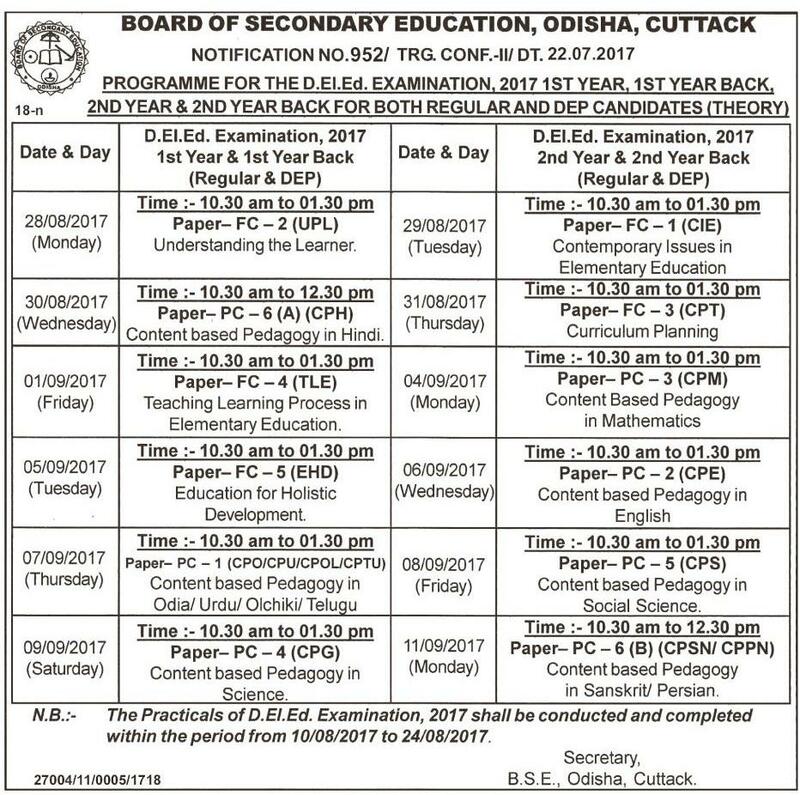 Check Here Details Exam Scheduled for 1st Year & 2nd Year (Regular/Back/DEP) Candidates. All Candidates Can Check their Exam Schedule.